First, Break all the Rules (1999) shows how great management differs from conventional approaches. The authors demonstrate how some commonly held notions about career and management are actually misleading. Based on interviews conducted with successful managers (research that the authors did for Gallup) the book introduces its readers to the key notions that great managers – those who get their employees to achieve performance excellence – use in their jobs. 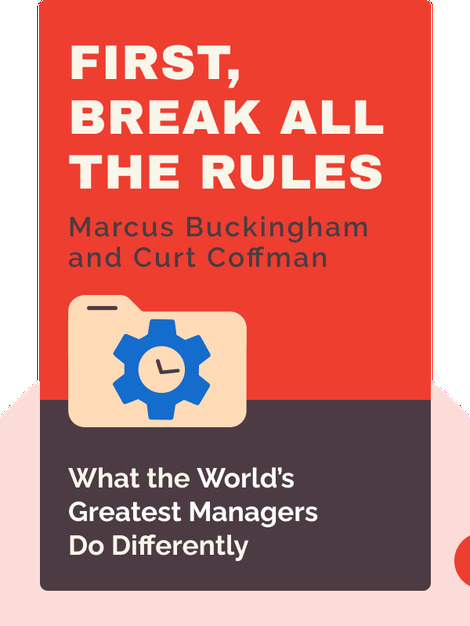 Marcus Buckingham and Curt Coffman both have a background in business consulting and business research. At the time the book was published, they worked for the Gallup Organization, a global performance management consulting company. 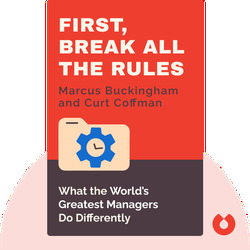 Both Buckingham and Coffman have started consulting and management training companies of their own, and have written other bestselling business books.